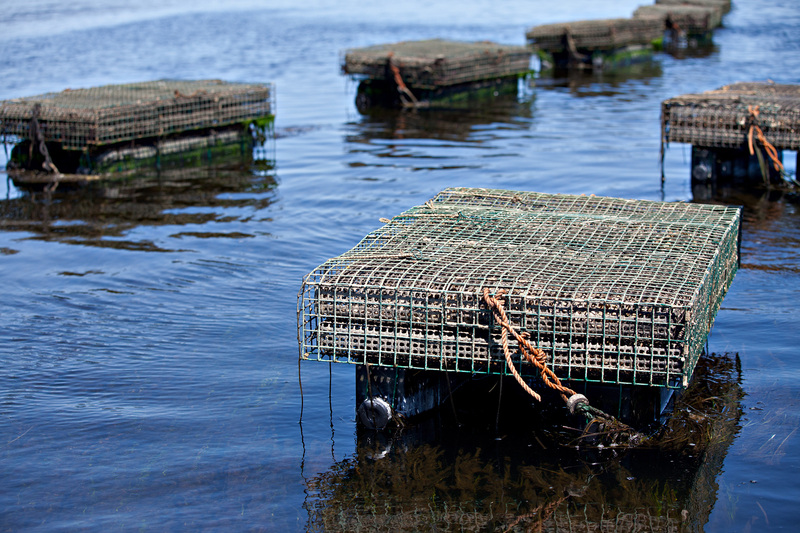 Developed by the owners of Maison BeauSoleil, our oysters are cultured in floating bags. Mounted a few centimetres below water surface along the rich and cold North Atlantic banks, BeauSoleil oysters grow in a fresh, clean and ideal environment for the cultivation of the American oyster (Crassostrea virginica). 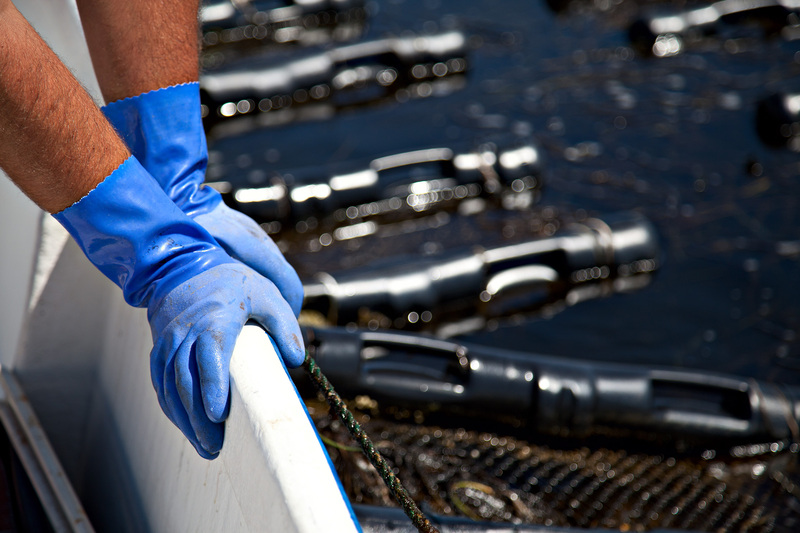 The production cycle begins by collecting the spat (oyster larvae) in the sea. 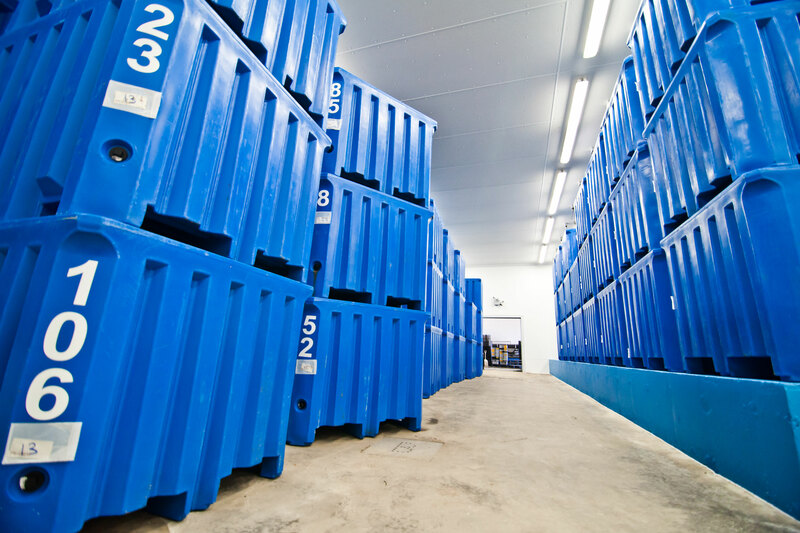 Afterwards, the oysters are transferred to the breeding sites where they will be kept near the surface of water for the summer season. Finally, they will be transferred in deep water for the winter, free of ice where they will overwinter peacefully until the ice melts in the spring. Thus, the success of Maison BeauSoleil is based on the meticulous farming conditions which are in harmony with nature and the “merroir” (maritime terroir). Close monitoring of oyster densities pockets, the movement created from the waves and daily manipulations can improve the shape of BeauSoleil oysters. 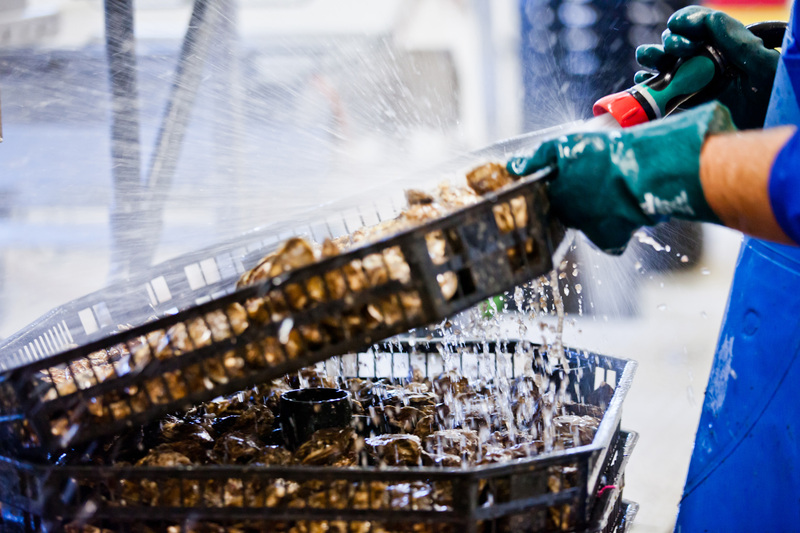 These actions allow them to obtain a large supply of oxygen and nutrients to produce a thick, clean and nicely formed shell which together contribute to BeauSoleil oyster’s exquisite taste. Since 2008, Maison Beausoleil has set aside a section of its installations whereby oysters can be unloaded and monitored during the winter season. This is made possible thanks to the installation of a pumping system that allows fresh seawater to be pumped in around the month of September. These installations have the advantage of considerably reducing the producers' weekly outings on the frozen bay, making this activity a weekly visit at most. Nicely done, wouldn't you say?